Just when the eternal rotation of a half-dozen Christmasish songs in the shops is definitively fading into the distance for what soon will have seemed a brief few months, when I no longer have to preserve my sanity by mentally composing myriad descants over “Jingle Bells” and “Feliz Navidad,” and no longer find myself pursued everywhere by “Home For the Holidays” (which is not, one would have thought, the most tactful thing to keep playing in a town that is twelve per-cent immigrants), I’ve evidently reached the final degradation that piped-in music can effect on me. After enduring the annoyance of an offensive-but-catchy tune in one store, I walked into another store and was momentarily annoyed that their music was interrupting the repetition of the other tune in my head. It’s a wonder that the population has any musical sensibility remaining at all. 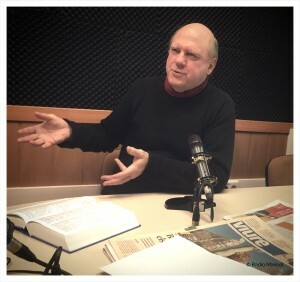 A radio interview (in Catalan).